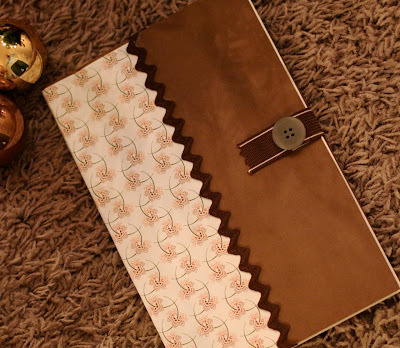 This week's Giving Guide project is one of those gifts you could make a million ways, based on your style, decorative paper and embellishments. 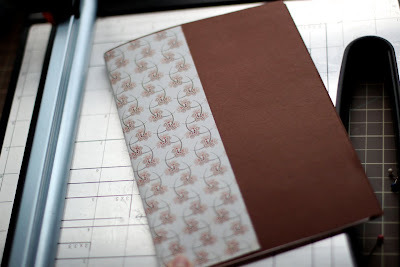 It is a personalized notebook. 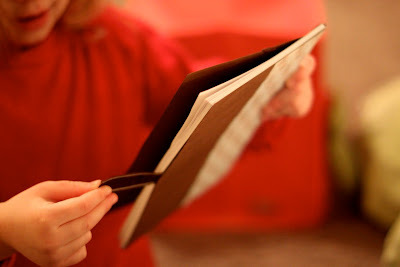 It is small enough to slide into a woman's handbag, be toted around by a child, and versatile enough for grocery lists, journaling, sketching, practicing the ABCs, and to-do lists. 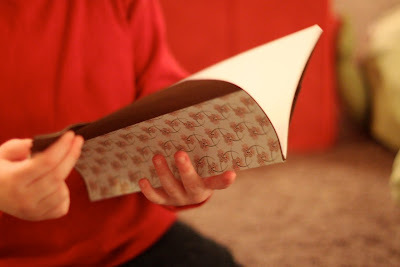 This a great project to let your children help along side you for their favorite teacher or friend for Christmas. 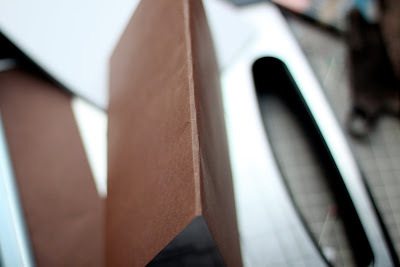 Cut copy paper in half, width wise. 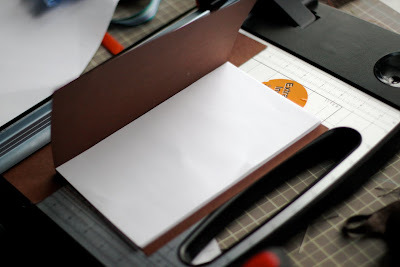 Cut 12 x 12 paper to fit flush to the copy paper to become the cover. 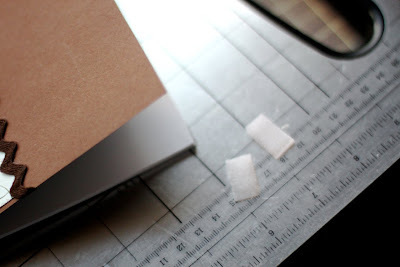 You'll need to work a nice crease around the card stock on the front and back of the binding to fit the cover perfectly slug. 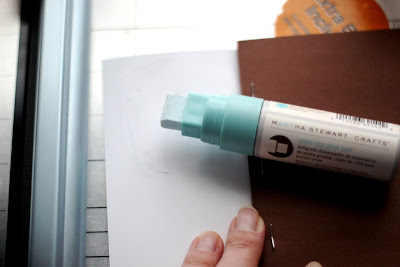 Cut excess cardstock off the lip of the notebook. 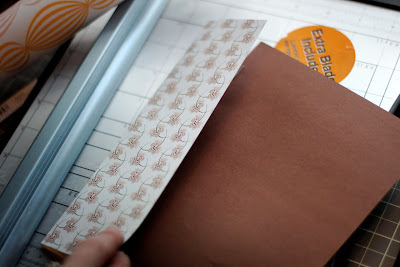 With the paper inside the cardstock cover aligned well, staple in a row through all of the paper. If the staple doesn't come through all the way, remove some paper to fit your stapler's capacity. 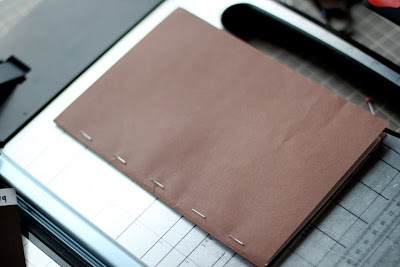 Now fit your scrap piece of paper to the binding to cover the staples. 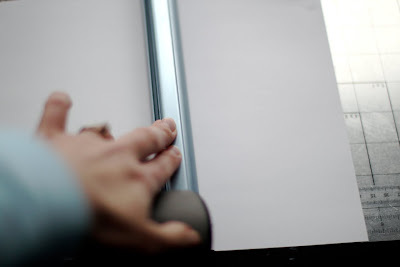 Again, work the paper to fit the binding snug by creating a nice crease around the binding. 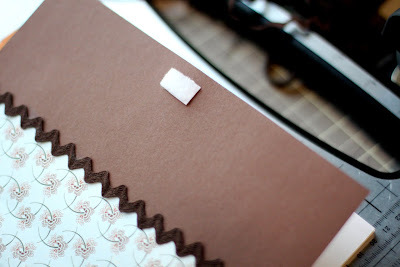 Use your good adhesive to adhere the front and back of the scrap paper to the cardstock cover. 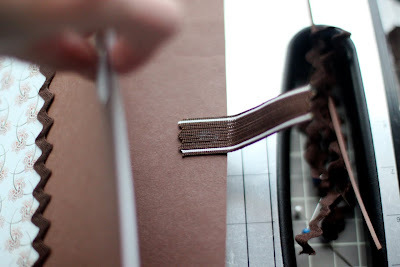 Glue down your rickrack or ribbon, securing slightly to the inside of the cardstock cover. Cut out two small pieces of Velcro. Glue one side to the front. 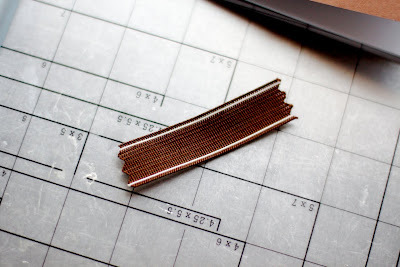 Take some sturdy ribbon, about 3.5 inches long, and cut with pinking sheers to avoid raveling. 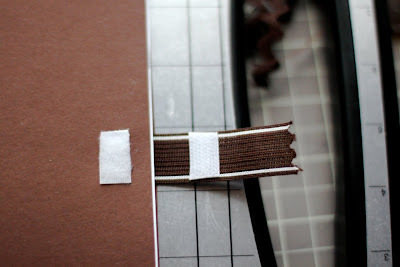 Glue ribbon to the inside of the back cover with a good adhesive, lined up with the Velcro from the front cover. Adhere the other Velcro piece to match. 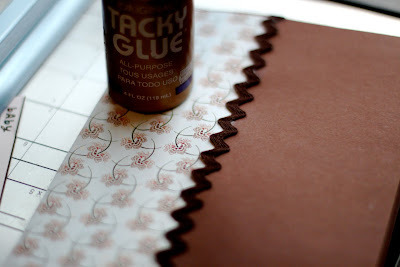 Hot glue will adhere the best to the ribbon since it is essential fabric. 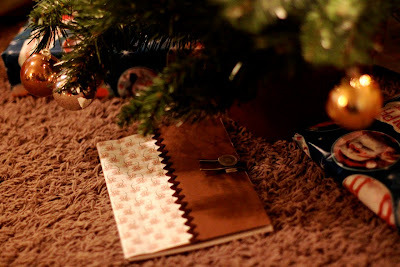 Use hot glue to adhere the decorative button on the ribbon as well. Somebody thinks it's theirs. We'll see.